For rapid determination of heat sealability of flexible packaging. Produces 3 or 5 independently temperature controlled seals, up to 15mm wide x 30mm long. Precise control of heat sealing process variables (temperature, pressure, and dwell time), enables an optimal balance of material specification, packaging machine speed and seal integrity. Accuracy and repeatability in laboratory heat seal testing is vital, and the HSG Gradient provides precision digital controls for this purpose. Fitted with either 3 or 5 sets of sealing bars with individual temperature controls to create a temperature gradient across the film. 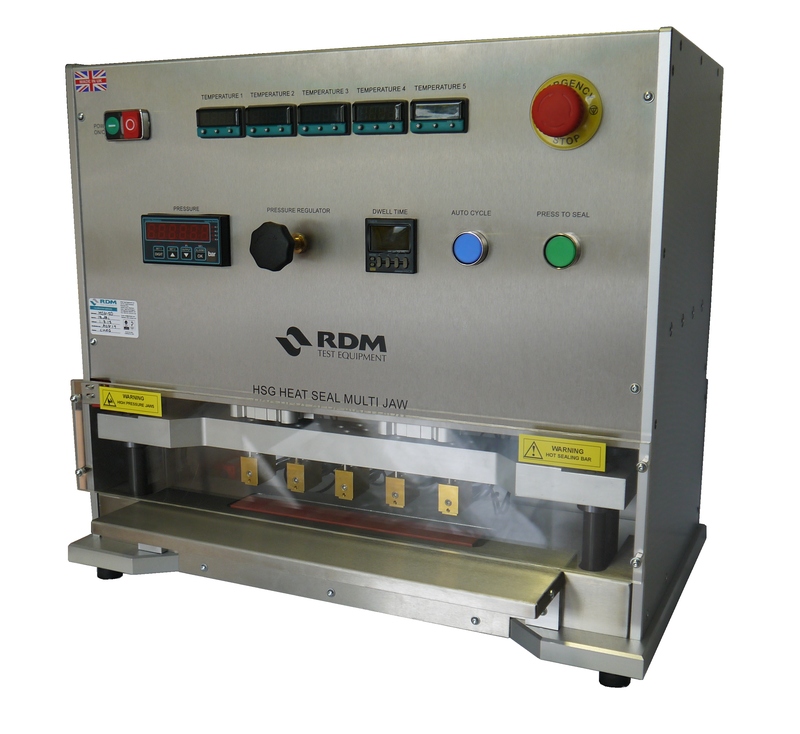 RDM Laboratory Heat Sealers have set the standard in precision and reliability for over 30 years. Please Contact Us and we'll work with you to understand your requirements and provide a solution. For production of high quality heat seals and/or precise measurement of heat sealability of flexible packaging. Produces seals up to 300mm long x 5 to 25mm wide. For standard determination of heat sealability. Produces seals up to 50mm long x 5 to 25mm wide.